I live in an In-law Suite in the new house built by my eldest daughter and her husband. It in on the property of his sheep farm, 250 acres worth. Because you can “take the boy out of the farm, but not the farm out of the boy”, I volunteer to help in whatever way I can. One task is consistent. I look after the laying hens. In fact, my daughter, who has a great sense of humour, made a sign from a piece of barn board, and painted in big bold white letters on the door of the hen house, “GLEN’S HENS”. Just recently the current flock of old biddies were beginning to show their age, and the egg production was steadily decreasing. My son-in-law saw it coming, and raised 25 replacements—pullets these young female birds are called. Last week, feeling they were ready to pick up the egg-laying torch, he put them in with the incumbents. As always, nature is taking its course; and the senior citizens are establishing their place as queens of the realm. They constantly jab the new comers with their beaks, sending them scattering. This goes on for days as “the pecking order” (literally) is chiseled in stone (feathers, that is). It hurts those novices! It is cruel! When I am gathering the eggs and see it I am tempted to kick those meanies into the next county. But if that seems cruel, get this: in New Zealand there is a bird belonging to the parrot family, the Kea, which is infinitely heartless in its foraging for food. It has the propensity to attack sheep in the high country, taking advantage of the animal’s limited movements due to deep snow. It actually feeds on the poor creature while it is alive, tearing through its flesh and fat to peck at its kidneys. Often this results in a slow and agonizing death, mainly due to blood poisoning. Hockey also has its predators—another cruel fowl (spell that f-o-u-l) is the boo bird! There seems to be little rhyme or reason for this verbal razzing. Common sense would suggest that the most likely victims of this treatment would be second stringers, whose on-ice abilities continually pose the question about their right to be in the Big Time. But it’s far more likely that highly-skilled performers will gain such abuse from the spectators. It’s pretty hard to top being the winner of four major NHL awards, plus a first all-star selection, in one season. But that’s exactly what Edmonton’s youthful captain, Connor McDavid did this past season. Yet, when he chalked up his 100th NHL game in the Bell Centre in Montreal, all of this counted for naught. He was razzed starting in the first frame. He had the most shots on goal of any player—six; and his tremendous skating ability drew three infractions—as the opposition tried to contain him. But the fickle Mount Royal City faithful had no notion of giving him the benefit of the doubt—despite all these pluses. Sidney Crosby is still considered the best player in the world by those in the know. But back in 2014, during the post-season series against the Blue Jackets, “Sid the Kid” was booed by the so-called loyal fans in Pittsburgh. His playoff record was indeed below par for a skater of his standing. But then, Malkin wasn’t doing much better. The “second season” fosters all sort of unexplainable highs and lows. But on the 28th, even though the Pens outshot the Columbus crew 51-24, and enjoyed a 3-1 victory, the key link in the Steel City contingent was chewed out. His less-than-impressive line-score was not the catalyst. It all came to a head when he made an errant pass. Let a top performer return to his former team, and it’s almost guaranteed he will be given the raspberry treatment. It has been true of P.K. Subban, Phil Kessel, and Brendan Shanahan just to name a few. As mentioned, fans who give players this treatment are called “boo birds”. Apparently, this expression originated with boxing, and was, at first, “boo boys”. It gravitated toward football, and finally to the ice game. The change to “birds” makes sense. Like our fine-feathered friends, they sit on their perches, looking down on activity below. And, like a saucy Blue Jay screeching at anyone who comes near, they feel safe because of the distance separating them from their victims. These shabby “Bronx cheers” by fickle spectators has not been limited to any particular era. It took place in shinny’s “golden years”, during the “Original 6” era, and continues to this day. One of the first instances of that scenario took place during the 1933-34 campaign. After scoring 40 goals in 1929-30, Howie Morenz dropped to 24 the following season. Then it was only 14—and finally down to 8 in ’33-’34. The Canadiens harsh fandom neglected to remember the toll that eleven campaigns can take on a smallish skater, so they began to boo their former idol. Manager Leo Dandurand had little choice but to trade his superstar to Chicago to spare him any further embarrassment. This shabby treatment hurt him so much he often despaired of even suiting up for games. And when he was benched during the famous comeback series against Detroit in 1942, it finished him in Toronto. He too was traded to spare him further grief; and, playing for Montreal in 1942-43, he regained his scoring prowess. But, when he donned khaki in place of shinny togs the next season, spectators in the Queen City who attended OHA Senior games caught the NHL crowd’s disease. 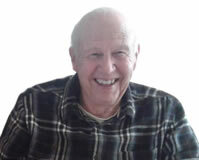 As a member of the Toronto Army Daggers in 1944, he potted 5 goals in a losing cause. They booed him. The next match he tallied 4 of the 9 markers in a winning cause—they still booed him! There was no rhyme or reason in that! Another scoring champion who got the dirty end of the stick for his efforts was Herb Cain, who was seeking a new lease on life with the Boston Bruins during the 1940-41 schedule. In their usual whimsical way, some fickle fans showed their disappointment concerning his lower-than-usual numbers at the halfway point in the season. They chanted, “Hey! Cain. Sonja Henie (figure skater) is looking for you!” Manager Art Ross was reluctant to play him for home games, lest the spectators boo him out of the rink. Only his timely bulging of the twine, with a goal that tied the score and, in overtime, the winning goal, on January 21, spared him that humiliation. The seemingly relaxed style of play made Hall-of-Famer Doug Harvey another victim of crowds in the Montreal Forum, who had more “heat than light’ when they drew their conclusions about his efforts. Probably second only to Bobby Orr in the pecking order of all-time best NHL rearguards, the eleven-time All Star appeared to be loafing when he played. Someone called his approach to the game “like playing defense in a rocking chair”. But he was always thinking—very deliberate in his choice of moves—either to pass or carry the puck out of his own end. It was this uncharitable attitude was prompted management to send him back to Buffalo during his initial big league start in 1947. Between 1944 and 1950, Montreal’s ambidextrous cage cop, Bill Durnan, won the Vezina Trophy, emblematic of the NHL’s best in the position, six times in seven years. He stands in the game’s history as one the best in the business. Yet, even he was victim of cat calls as well. Perhaps the classic example of fan feeble mindedness applies to the unfair scrutiny of Allan Stanley by New York Ranger spectators. Apparently, he had earlier been the “darling of the big town followers”; but he suffered a shoulder separation in 1952, and it affected his play when he came back from the injury. And the “gallery gods”, the leather-lunged lunkheads from the cheap seats in Madison Square Garden showed no sympathy whatsoever. After five years of solid service for the Blueshirts, the constant razzing raining down on him prompted Manager Frank Boucher to demote him to Vancouver—“a change as good as a rest!” It was the first time in NHL history that a team captain was farmed out. But banners hanging around the arena, taunting the slow-footed rearguard with, “Viva Sonja (the skater again) Stanley”, capped off the campaign to degrade him. Thinking out loud, the berated blueliner once asked: “What have they got against me?” One theory was that the guilty loud mouths were former New York American supporters. They weren’t really Rangers fans—so they had to boo somebody!” Again, a stellar competitor paid the price—the next year he was traded to Chicago. Even his wife shared in the atrocities. Fans used to sit behind her in the stands and pass her insulting notes. One meathead had the habit of throwing beer in her direction. The big difference between Howell and Stanley, however, was that the former ignored the insults, accelerated his game, and eventually won the spectators over. In fact, he was the first Ranger ever to be given a “night” to honour his contributions to the team. Despite the fact the Martin Brodeur broke his total-career shutout record, there are still a host of hockeyists who maintain that Terry Sawchuk was the best goaltender in the game’s history. So it is incredible that even he could not escape this cowardly caterwauling. When the Leafs won the Stanley Cup in 1967, in game 4 of the series again Montreal, “Ukey” was called upon to come off the bench to replace Johnny Bower, who had suffered a groin pull. The Buds lost that match 6-2. But it was in game six, which Toronto won, 3-1, when boos poured down from the stands. Whenever he stopped the old boot heel there was mock applause. The Canadiens insisted it was he who won the game—and wondered out loud about “those Toronto fans”—and with good cause! But what short memories they had. No single player had ever contributed more to the benefit of the franchise. No individual ever more diligently put his body and soul on the line for a team! What a sad sendoff for a hero! There are seemingly endless stories of the callousness of hockey spectators. Included in that number are Norris Trophy winner Pierre Pilote, slick winger Bob Nevin, Brad Park, Bernie Parent, Marcel Dionne, Pete Mahovlich, Jim Pappin and Mike Milbury. Space does not permit the profiling of them all. But there are two other examples of clueless catcalling. Both invite the word “incredible”. 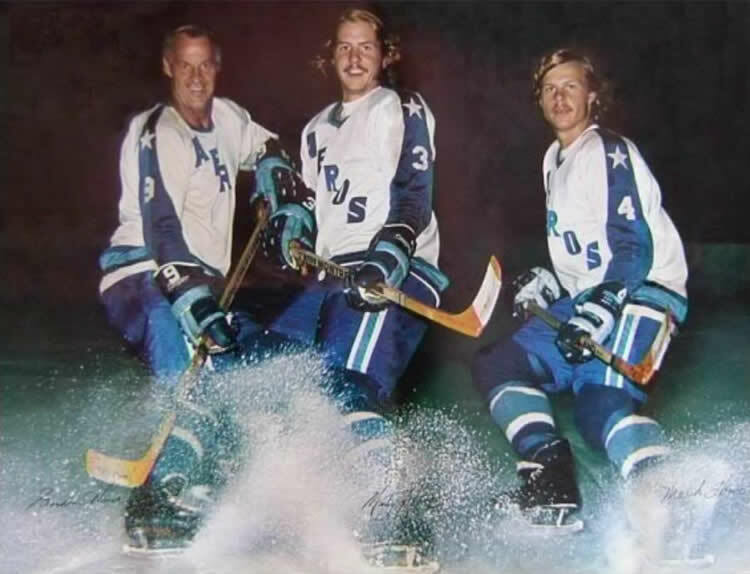 On November 30, 1977, Gordie, Mark, and Marty Howe returned to Houston for the first time as members of the New England Whalers. “Mr. Hockey” had every reason not to be impressed with the treatment he and his sons received as a visiting WHA icon. It seems they were greeted with a chorus of boos as soon as they stepped on the ice at the Summit Arena. That has to represent scraping the bottom of the barrel of fandom. “But at least no spectator ever raised his voice in a jeering manner against “You Know Who”! Right? Wrong! Believe it or not, “The Great One” was victim of the whimsical moods of those who conclude that their paid admission earns them the right to turn off their common sense at a moment’s notice. Yes, believe it or not, on at least two occasions the boo birds, hiding safely in the anonymity of the stands, heckled Wayne Gretzky without mercy. The one consolation is that, in each case, he was not a member of the home squad, but part of the invading forces come to conquer. It was seven seasons later that the press picked up the second incident. This time, on March 18, 1996, he skated onto the playing surface in L.A.’s Great Western Forum as a member of the St. Louis Blues Club. He fired the first goal in a 3-1 triumph for his new sextet, and went on to add an assist, earning him First Star honours. Initially the scene of his former digs echoed with applause—even when his first-star recognition was announced. But otherwise, they booed every time he touched the puck. Some “welcome home” that—especially for the league’s all-time points producer.